Gorgeous Galle is one of Sri Lanka’s most popular holiday destinations. Its proximity to the Indian Ocean, impressive architecture and historic streets make it unmissable. In recent years ex-pats and entrepreneurs have renovated Galle’s older houses and now you’ll find streets lined with cafes and bijou shops. But history still abounds. The Hindu God Hanuman is said to have dropped a small chunk of the Himalayas – the hill at Rumassala – here by accident, careless but highly impressive! The UNESCO world heritage site Galle Fort has wall to wall visitor attraction written all over it. Built by the Dutch in the 1660’s its battlements then witnessed a British takeover before helping shelter survivors of the Boxing Day Tsunami of 2004. It provides a magnificent viewpoint over the Indian Ocean and into the old town. As dusk falls over Galle, end your day with a stroll around its magical ramparts in the company of canoodling couples and daredevil divers. This magical city is a fascinating mixture of Portuguese, Dutch, British and Asian culture. And to experience its colonial past all you need to do is go for a wander. Highlights include the low-rise Dutch villas and mansions nestling under the massive stone and coral walls and the historic lighthouse. But you’ll also find quirky remnants of British and Portuguese rule sitting amicably alongside Mosques and minarets in the Muslim Quarter. The Dutch Reformed Church is an oasis of calm here in the teeming streets of Galle. Sri Lanka’s oldest Protestant house of worship was built in 1755 but a congregation had gathered here at least a century earlier. Step inside and you’ll find life stories etched into the very fabric of the walls and floors. Beneath your feet are the gravestones of the early Dutch, while on the walls, tablets commemorate the fate of their conquerors, the British. Less than half an hour from Galle, you’ll find a beach town designed to please. Hikkaduwa is popular with surfers and tourists, its sea and sand combining for an idyllic day trip from Galle. Devastated by the Boxing Day Tsunami its residents were given sewing machines to help piece their lives together again. Make your trip to Hikkaduwa more meaningful by picking up a hand-made shirt from a beachfront tailor. 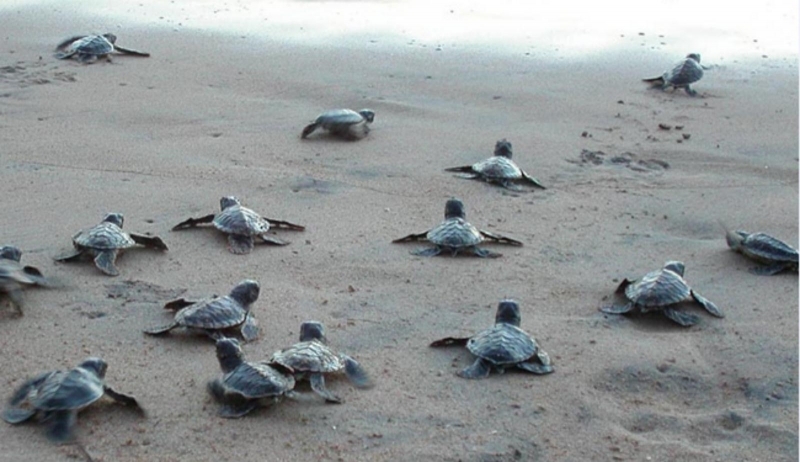 The Kosgoda Turtle Conservation Project is a pioneering wildlife centre 30 minutes’ drive from Galle. Run by local people and international volunteers, its aim is to protect the area’s turtles from poaching by adopting a very hands-on, tourist-friendly approach. Take the turtle tour and you’ll learn all about the different types of turtles and their habitats before getting the chance to hold one. Shell out less than £5 for a very worthwhile cause.